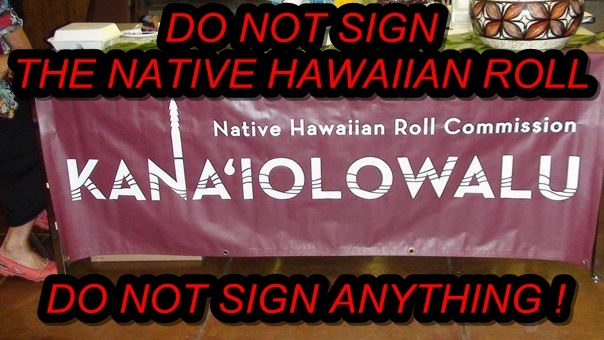 Democrats in Hawai’i have been unsuccessful with their Akaka Bill thus have been unsuccessful with their attempts to receive the consent of the majority of Hawaiians to reorganize our lands thus reorganize the title to these lands so they are now resorting to trying to convince and co-erce Hawaiians to place their name on the Native Hawaiian Roll. They even show Senator Dan Inouye signing his name which is illogical. Senator Dan Inouye is not a Hawaiian National. He is an American.